Total Area: 26,338 sq. km. Area under water: 1,670sq. km. Land area: 24,668 sq. km. Population: 10.52 million people (2012 census), projected to rise to 16.9 million by 2032. 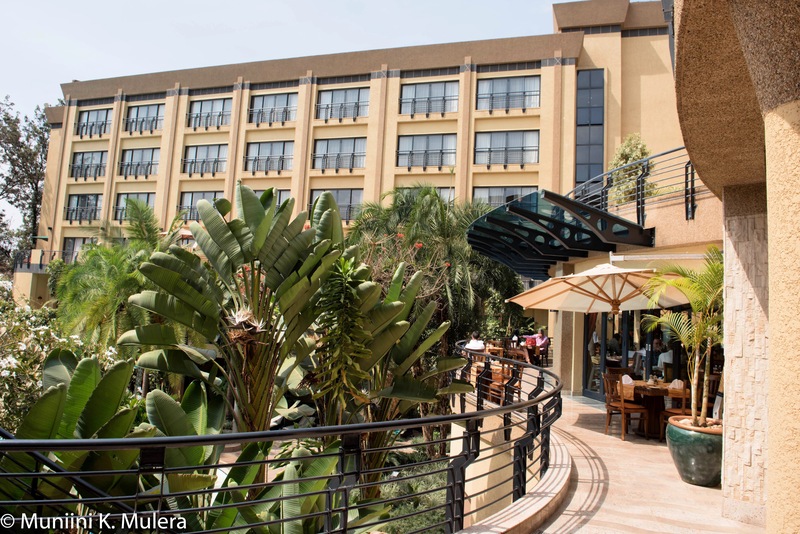 Rwanda is a mountainous land locked country in East Africa, bordered on the north by Uganda, on the east by Tanzania, on the south by Burundi and on the west by Congo. It is slightly smaller than Maryland, USA. 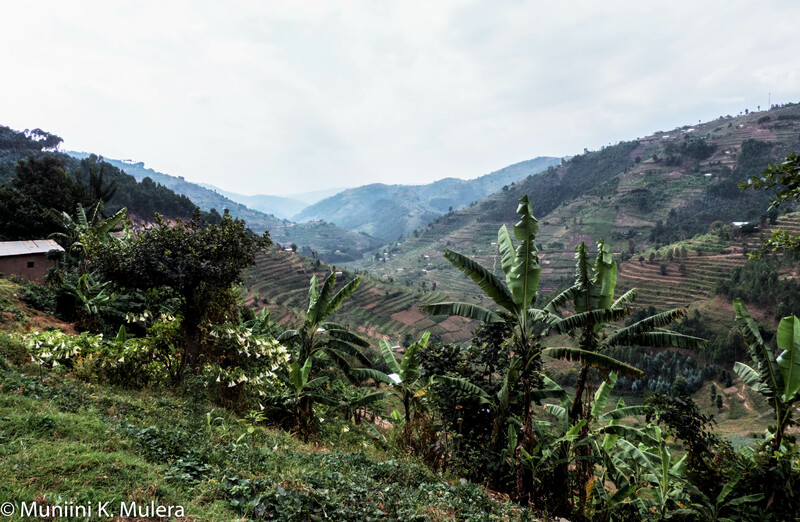 Rwanda’s terrain has earned the country the moniker “Land of a Thousand Hills.” It is very similar to that of neighbouring Kigezi to the north, with high mountainous areas and relatively flat grasslands. Rwanda’s altitude ranges from 1,000 to just over 4,500 meters above sea level. The highest point is the peak of Mount Karisimbi at 4,507 meters (14,787 ft). It is the 11th tallest mountain in Africa. The other volcanoes in Rwanda are Mount Muhabura, Mount Gahinga, Mount Sabyinyo and Mount Bisoke. The pressure on the land, occasioned by Rwanda’s burgeoning population, has resulted in deforestation. Rwanda has two national forests. The Nyungwe Forest National Park in the southwest part of the country is one of Africa’s oldest rainforests. Spread over 1,019 square kilometres, Nyungwe has more than 200 tree species, numerous orchids, mammals, birds and butterflies. The Volcanoes National Park in the northwest, at the border with Uganda and Congo, has large tracts of bamboo forest.This is the home of the Mountain Gorillas. Rwanda has relatively pristine lakes, the main ones being Burera, Ihema, Kivu, Mugesera, Muhazi and Ruhondo. The climate is a pleasant mix of warm days and cool nights. Daytime temperatures range between 24.6 and 27.6 degrees centigrade. There are two rainy seasons – March to May and October to November. The hottest months are August and September. 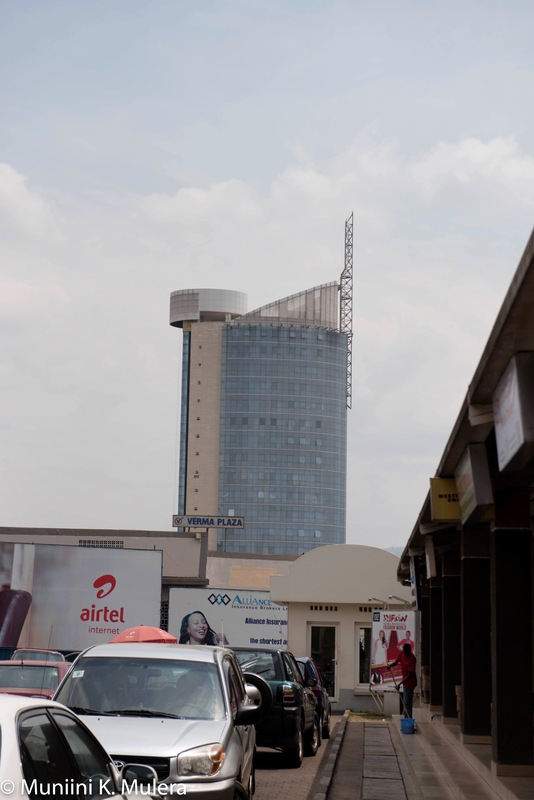 Above: Kigali City Tower on Avenue du Commerce in Nyarugenge District, Kigali. 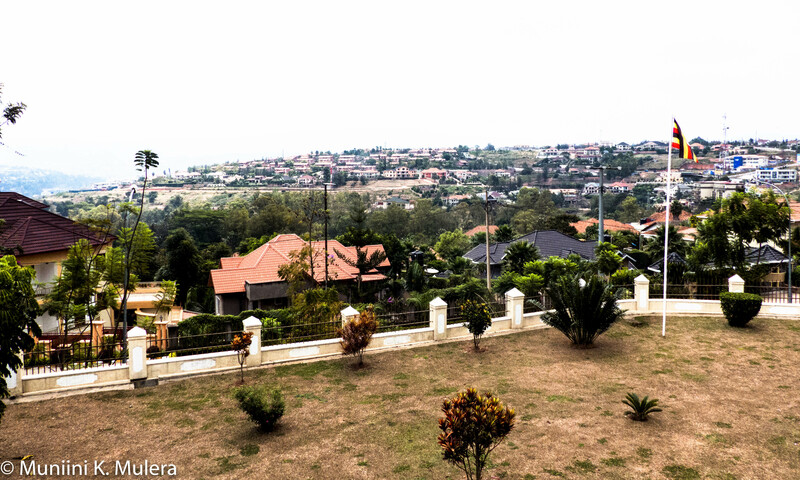 Above: A Kigali residential neighbourhood viewed from the old chancery of the Uganda High Commission. Other cities: Butare, Byumba, Changugu, Gisenyi, Gitarama, Kibungo, Kibuye, Ruhengeri.